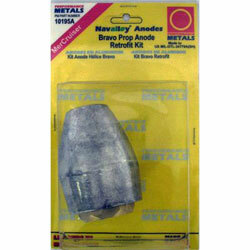 Performance Metals Premium Line of anodes is manufactured from Navalloy to a military specification MIL-A-24779(SH). Navalloy is a high performance alloy! It contains aluminum, 5% zinc and traces of indium, which ensures that it stays active.